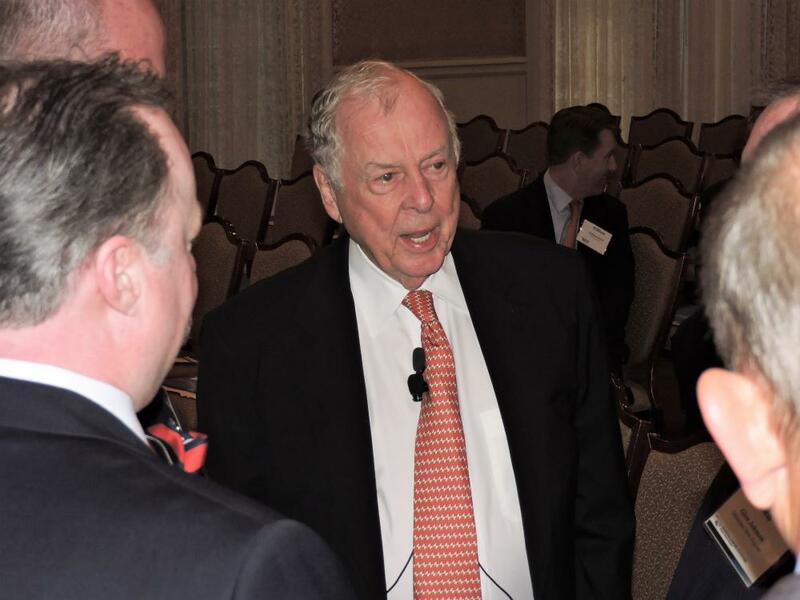 Boone Pickens, Chairman of BP Capital, was the guest speaker. In a special interview format, Pickens discussed his career, the positioning of the United States as a “swing” state in determining energy capacity and pricing and predicted $60 a barrel oil by year’s end. Governor Mary Fallin gave an update of economic development activities and initiatives, including the Oklahoma Works program. Other presenters included Lt. Governor Todd Lamb and a representative of the Oklahoma Commerce Department. Also, the annual independent audit was accepted by the membership. A networking reception followed the meeting. This summer and fall the Roundtable has been actively supporting economic development activities as well as workforce and marketing events – working with in conjunction with state leaders. Consul Generals from nine countries were also hosted in the state for international trade discussions this month.